The Holiday Wishes Dessert Party held during Mickey’s Very Merry Christmas Party at Tomorrowland Terrace is now open for reservations. Each premium package costs $79 for adults and $47 for children ages 3 to 9 (tax not included). For reservations, book online or by calling (407) 939-3463. Guests under 18 years of age must have parent or guardian permission to call. A separate ticket to Mickey’s Very Merry Christmas Party is also required and is not included in the price of this package. View important information about check-in times, event identification, in-park locations and more. Guests who have purchased the Holiday Wishes Dessert Premium Package can check in beginning at 4:00 PM at Tomorrowland Terrace Restaurant. Upon check-in, you will receive an official credential for event identification. Guests are advised to return to Tomorrowland Terrace Restaurant for the dessert party one hour prior to the Holiday Wishes: Celebrate the Spirit of the Season fireworks. This premium package is only offered on select dates during Mickey’s Very Merry Christmas Party. Advanced reservations are highly recommended. A Mickey’s Very Merry Christmas Party ticket is also required and is not included in the price of this package. Seating will be available at the dessert party on a first-come, first-served basis—though every table features views of Cinderella Castle. In the event of inclement weather, the fireworks may be delayed or cancelled. 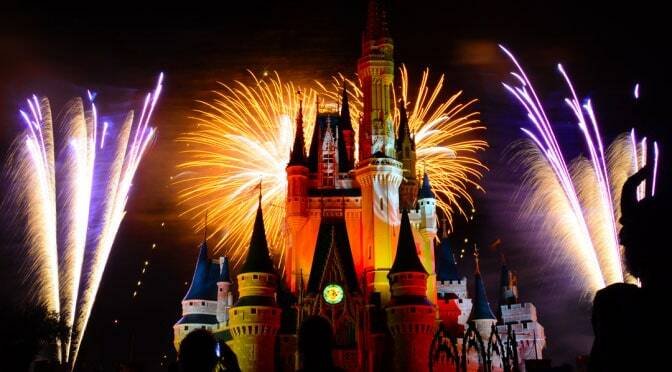 However, the dessert party will occur regardless of the weather. Your credential for event identification is non-transferrable and will not be replaced if lost or stolen. In your opinion, is it worth losing the approximate 1-2 hours of party time? Do understand that you’ll use 1.25 of your 5 hours in the party at the Dessert Party portion. Thanks Kenny : ) My mom and I have been to the party every year and the dessert party is one of our favorite things. We meet some characters, get pictures, then go to the party. We also enjoy the music and festive atmosphere. No rides. In years past they did not always indicate parade viewing though when I called they said it was included. I am going to give them a call and see. What are your thoughts about parade viewing? It’s not mentioned, but hoping there is still preferred viewing. Any news on the Halloween Dessert Parties? I hope we can book for non party nights soon.